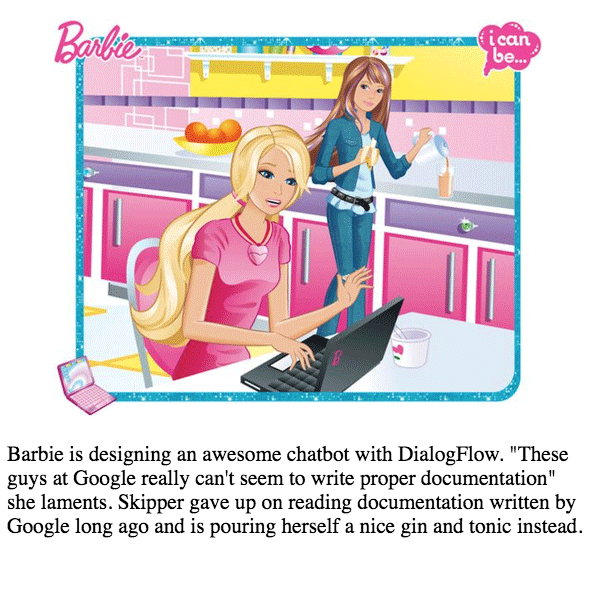 Barbie is designing an awesome chatbot with DialogFlow. "These guys at Google really can't seem to write proper documentation" she laments. Skipper gave up on reading documentation written by Google long ago and is pouring herself a nice gin and tonic instead.